Are you curious? 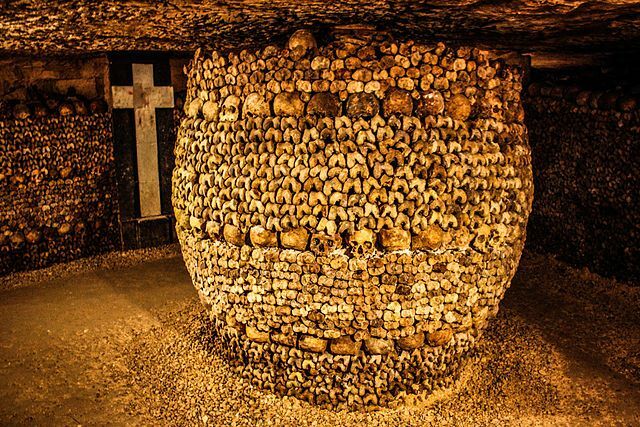 Let’s learn about the hidden Catacombs in Paris! Well, fellow-fraidy-cats, I’m here to tell you that the catacombs are not as creepy as you think, and are definitely worth checking out. 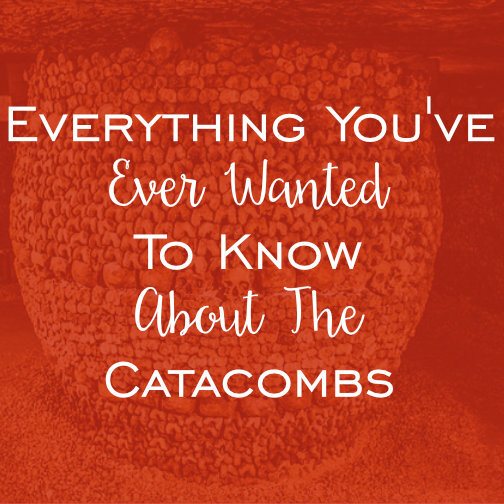 Keep reading to discover everything you’ve ever wanted to know about the Catacombs in Paris! Let’s go back to the beginning! Here at Sight Seeker’s Delight, history is pretty much our passion, so I want to start this article by giving you a little bit of background information on the Catacombs. Like most things in Paris, it’s an interesting story! If you know anything about the history of Paris, you know that back in the day, conditions were a little…er…gross. There was garbage and human excrements in the streets, plumbing was a luxury (if you had it at all), and don’t even get me started on the smell. Again, gross. There were also A LOT of people in Paris, crammed into small spaces. If you wanted to find work, the capital was where you needed to be, and that meant a surplus of population. 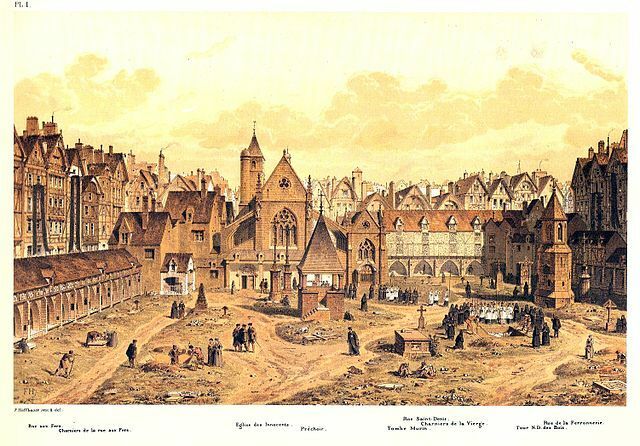 In the late 18th century, cemeteries in the city became overcrowded. Not only that, health problems amongst the Parisians were beginning to be linked back to the city’s cemeteries as well. 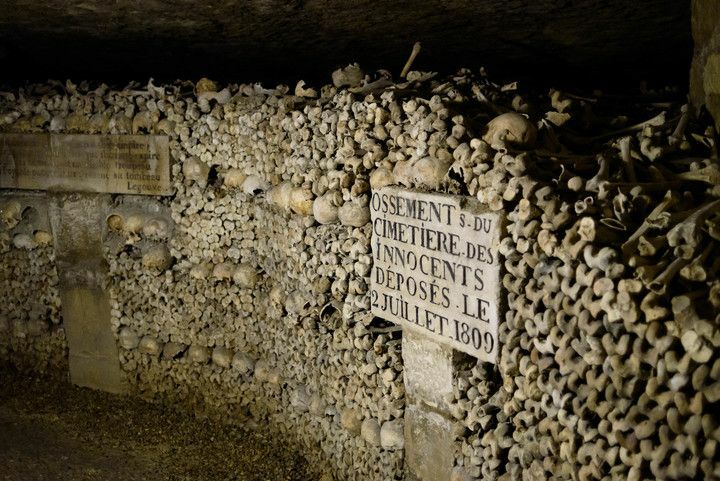 As a solution, the city of Paris decided to move bodies underground, where they believed their decomposition would pose less of a problem. The answer to everyone’s problems were found in a place that at the time was located outside of the city walls: a town called Montrouge. There were abandoned quarries in Montrouge, that consisted of a maze of tunnels that extended beneath Paris. The city began a major operation to transfer graves out of Paris, and into the quarries. Beginning in 1785 at the Saints-Innocents cemetery (which had been closed after decades of use), graves were moved to Montrouge during the night, to avoid upsetting Parisians, and particularly, the church. These transfers continued on after the French Revolution until 1814. They started up again in 1840 during the great renovation of Paris headed by Napoleon III and city planner Baron Haussmann, the pair responsible for the classic Haussmannian architecture now associated with Paris. 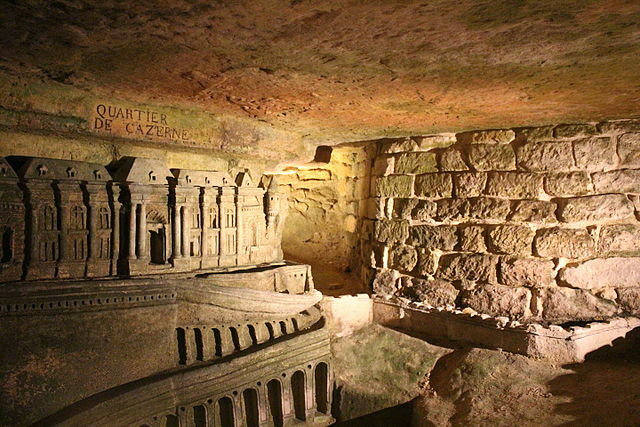 In 1860, the site was officially named the “Paris Municipal Ossuary”, and was dubbed the “Catacombs”, in reference to the recently discovered Roman Catacombs. Beginning in 1809, the Catacombs were open to the public, upon appointment only. Today, the site is open freely to the public, and welcomes almost 550,000 visitors per year! When the Catacombs first opened, the bones inside were piled in a haphazard way, and I can imagine was a fairly dangerous place to enter. Before the site opened in 1809, Inspector Héricart de Thury ordered a major remodel, structuring the site as a monument, able to be visited by the public. Not only is the Catacombs a very unique tourist location, it’s important to remember that it is a grave. Visit the site to pay homage to those who are buried there. Be respectful, and keep in mind that those buried there left behind a legacy that we are lucky enough to revisit. Today, workers are constantly engaged in preserving the bones, and studying the environment in the Catacombs. Like most monuments in Paris, it takes village to keep things running smoothly! To learn more than what I’ve told you here, why not join our Private Tour of the Catacombs?! Our senior guide knows a lot more than I do about the site, and she is sure to wow you with unique and interesting facts! You could go down on your own, but I promise you’ll learn so much more with one of our guides, and you’ll probably have a whole lot more fun. I hope I have eased any fears or hesitate you may have regarding the Catacombs in Paris! It really is a special experience, and I recommend anyone visiting Paris to take a peek. Have you already made the plunge? Tell us about it in the comments below! What did you think about the Catacombs of Paris? This entry was posted in Museums, Paris Activities and tagged catacombs, cemetery, Paris, Paris cemeteries, private tour, visit. Bookmark the permalink.